EDITOR’S NOTE: This is Part II in a series confronting the lack of proper firearms training in modern law enforcement. In Part I we covered the importance of transitioning to targets that focus the officer’s shots into the key upper chest targeting areas of the heart and lungs of the adversary. In Part II we present the arguments for proper targeting, with an anatomical analysis to verify our reasoning. In a deadly force engagement the threat must be stopped as quickly as possible. Firearms instructors have a duty and responsibility to train their students to win – not just survive a deadly force encounter. Winning means the officer was mentally and physically prepared, observed and identified the lethal threat, engaged and subdued the lethal threat, and was legally justified in his or her actions. Winning encompasses surviving, but surviving on its own simply means the officer did not die from the encounter. Winning leaves the shooter mentally and physically prepared to continue with life in a healthy way. 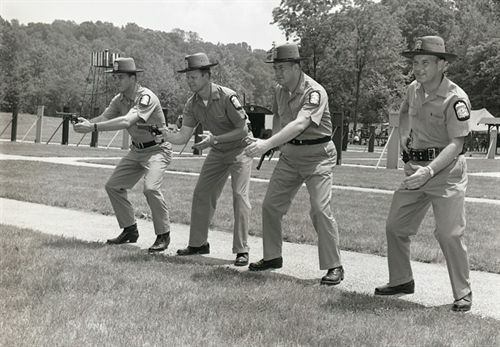 Police firearms training in the 1960’s. (Photo from NRA). The firearms community has grown phenomenally over the last 25 years, and continues to show amazing improvements in manufacturing, innovation, and skills training to complete the experience. These advancements have helped law enforcement respond to increasingly complex critical incidents. The development of highly accurate bean bag rounds as a less lethal option, polymer striker-fired handguns that reduce weight but improve accuracy through consistent trigger pulls, and the implementation of the Taser are just a few of examples of technological advances that have enhanced the law enforcement response to threats in our communities. However, despite all the impressive improvements there is still one area that remains a matter of significant concern in use of force training – the targets that we engage in practicing deadly force engagements. Though we have made significant steps beyond the simple bulls eye targets of the early 20th century, including interactive, printable, and steel targets, the silhouette targets being used by too many are simply preparing officers to fail. Got Ammo? You Better Stock Up! 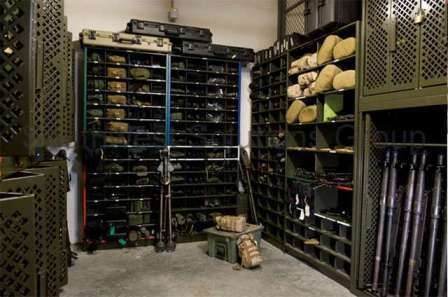 An armory from Southwest Solutions. Have you checked your department’s armory lately? If not, you had better convince the people in charge to start stocking up like a modern-day Prepper! How many hollow point duty rounds do you have? If you think you have enough, you might want to think again! Those agencies caught by surprise when the civilian ammunition market was choked dry during the height of the Iraq and Afghanistan wars, would do well to pay attention to the military’s latest move that could have significant impact on civilian and law enforcement ammunition supplies. The United States Army has been in the process of defining the bidding process to prospective manufacturers for the Army’s new “XM-17” Modular Handgun System. The official move towards the XM-17 have been years in the making, but in recent months the decision has been solidified, and the bidding process has already begun. This new handgun system has been talked about for years, as the decision to replace the 30-year old M9 (Beretta 9mm) has been on the table for several years now. However, one particular comment about the proceedings should have every civilian law enforcement agency at full attention, and preparing for a new crunch in the availability of duty ammunition. Perhaps the most indicative feature of pistol shooting in relation to accuracy is the shooter’s grip on the handgun. In the above video shooting professional Michael Seeklander, of Shooting Performance (as well as Personal Defense Network and Top Shot Season 1), breaks down some key fundamentals in the shooter’s grip that can provide an outstanding grip and form, while seriously reducing recoil effects. Should Officers Use Their Front Sights During A Gunfight? The Force Science Institute (FSI) is a research organization founded by Dr. Bill Lewinski, PhD. in Mancato, Minnesota. Dr. Lewinski is a 30-year clinical psychologist in human behavior who has focused his career in the area of police psychology. He created the Force Science Institute and dedicated its research to the study of human perception and reactions during dynamically developing situations, emphasizing the response of police officers during use of force encounters. Roll Call: A BSD Challenge Video! 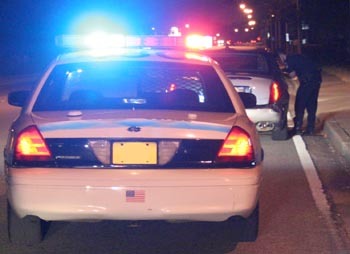 The Passenger Side Approach is a critical component of officer safety during traffic stops. Plan at least (1) special family event each week. Universal Training Munitions has announced the release of their Civilian Target Ammunition (CTA) at the 2015 SHOT Show. The CTA round is based on the similar UTM Target Bullet Round (TBR) that is used in military and law enforcement training worldwide. 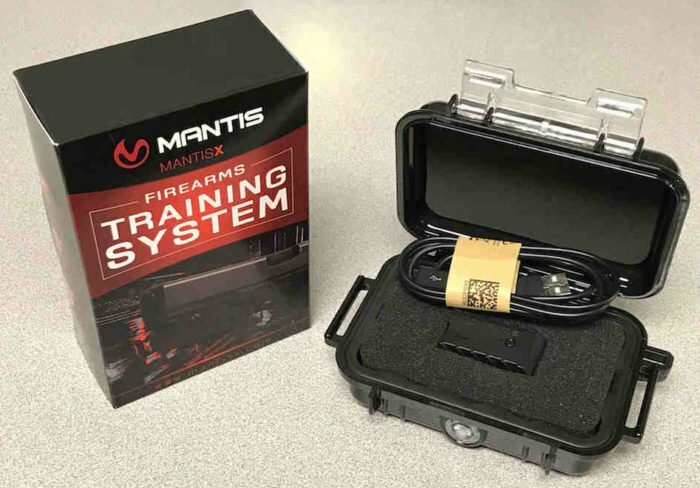 The U.S. Military, and several law enforcement agencies have been training with the UTM Target Bullet Rounds for nearly a decade. There have been over 198 million rounds made to date, in a wide variety of calibers. Barely two months into 2015, and we have two police officers, from different large police agencies, criminally charged for the reckless or negligent killing of another human being. Sadly, I have to agree with the criminal complaints and I’ll explain. When you swore the oath to become a police officer, you entered a profession with tenants that call you to rise above the expectations of the rest of society. That oath puts a spotlight on you both on and off-duty, because a free nation demands that those who the people have given authority to arrest, be free from immorality, incompetence, and illegal nature. When the office of police officer is carried out with integrity and zeal for justice, the entire community proudly proclaims it’s just and honorable nature. When the office is misused or abused, the community properly excoriates those who have violated such a sacred trust. That trust is also held by the officers you work for, and a failure to uphold that standard of your oath rightly brings a higher level of scrutiny because of the higher level of trust.